Trish Meyer leads beginners through a gentle introduction to Adobe After Effects: from creating a new project and importing sources, through arranging and animating layers, applying effects, and creating variations, to rendering the final movie. However, this is no paint-by-numbers exercise. Trish demonstrates how she makes creative decisions and saves time through the use of keyboard shortcuts and smart working practices. 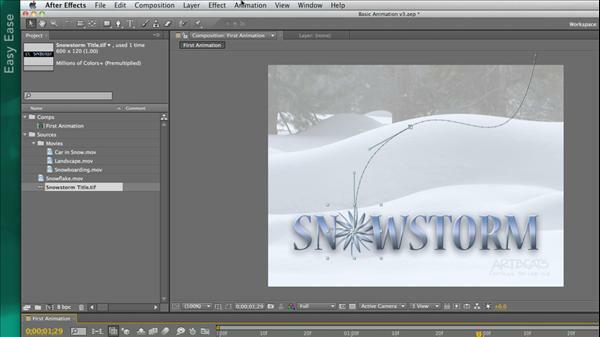 Additional movies explain further details about how After Effects works under the hood. Her measured pace helps even those completely new to After Effects understand the program so that they can use it effectively on their own projects. Exercise files are included with the course. The After Effects Apprentice videos on lynda.com were created by Trish and Chris Meyer and are designed to be used on their own and as a companion to their book After Effects Apprentice. We are honored to host these tutorials in the lynda.com Online Training Library®.